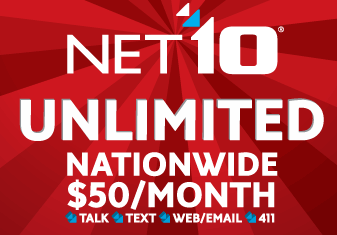 Net10 is a prepaid cell phone service provider. In USA Net10 offers some good offers to its customers like unlimited talk, text and data connectivity for only $50/ month. In Net10 there is no contact, no credit check and here you will not receive any surprise bills. Net10 gives nationwide connectivity with good reception. Net10 offers wide range of mobile phone from Nokia, Motorola, LG, Samsung and Kyocera. If you are looking for cheap phone then you can take a mobile with calling and texting capability for under $15. 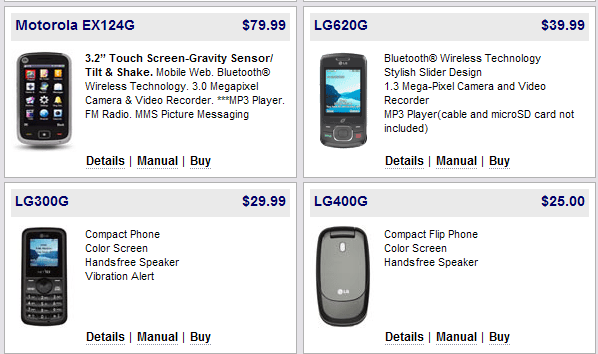 Mobile with camera, video recorder, Bluetooth, internet capability costs under $40. If you are looking for better mobiles then fall QWERTY keyboard phones, slider phones and touch screen phones are also available for under $60. These high end mobile comes with great application capabilities and good still and video camera. First you have to buy a mobile from Net10 then activate it from their website. Now you can make call, send and receive teXt messages or download ringtones. To add airtime you have to purchase airtime cards and from mobile airtime usage and validity can be checked. Unlimited Minutes, Text and Web for $50.00/month. Switch between plans each month to suit your budget and airtime needs, without penalties or fees. Airtime can be purchased online, at a nearby store, or directly from your phone. Long Distance Service is available to over 75 countries, for about 15 cents per minute on calls originated in the US.